The time has finally come where you've made the leap and brought home your new dog. If you've done careful planning, you'll likely have already visited a pet shop and have witnessed the enormous selection of pet supplies available. Everything from basic necessities to colourful toys, training tools and quirky costumes and clothes. So how do you decide what exactly you'll need to have so that you can provide a welcoming home to your new dog? What types of dog supplies do you need? There's the basic dog supplies that you will want to have when your pooch arrives home. These include dog food, dog bowls, collar, leash and a dog bed. Dog food is number one on the list because you shouldn't feed your canine table scraps or your own dinner. While you can place their food in regular it's nice for your pet to have a regular bowl it goes to at regular feeding times that it associates as their own. You can find dog bowls that even have their name on it. When searching for dog food from your dog supplies list it is crucial that you find the right dog food. Check with a veterinarian, breeder, or pet shop owner for recommendations on the proper food. Dogs also will become used to their specific brand and type of dog food and if you suddenly change it they may suffer from upset stomach. 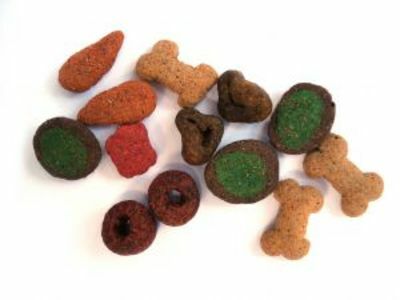 Since they will be on the dog food for a long time it is a great idea to spend time finding the proper dog food for your pooch. A dog collar and a dog leash should be next on your list of dog supplies. Many states require that you register your pet's microchip with the local council. 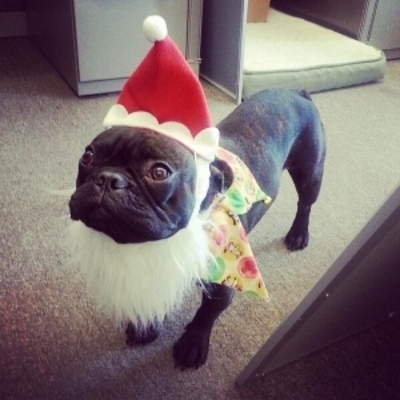 In addition, you may need to demonstrate that your dog has had the required vaccines. Also create a dog tag that has your dog's name on it, your name, and phone number in case your dog ever gets lost. Most cities require that your dog be on a leash through various leash laws. 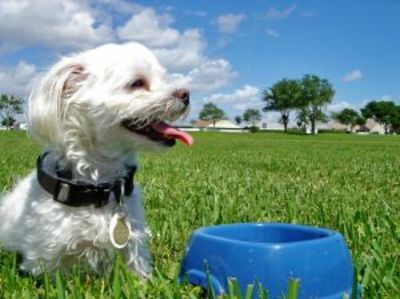 Keeping your dog on a leash is a smart idea especially when you head out to parks or walk along the road. You don't want your pooch to bother other people or run out in front of an oncoming car. These scary situations can be avoided by using a leash to control your dog's movement. 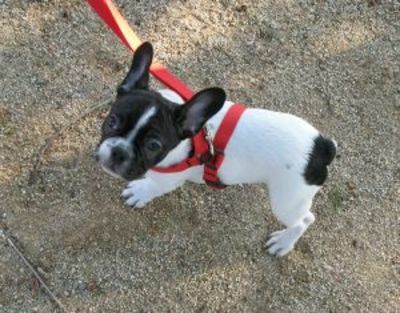 Leashes are also a training tool which you can use to teach your dog the proper behavior for their daily walk. Dog supplies have improved over the years especially regarding different types of leashes. Does your dog constantly pull away from you on the leash causing them to cough? If so, you can buy a least that doesn't connect to just their collar, but is instead a harness that wraps around their entire body (pictured above). You slip their legs through it. This type of leash can be much more comfortable for your dog, so consider it when looking for dog supplies. Next on your list should be a dog bed. 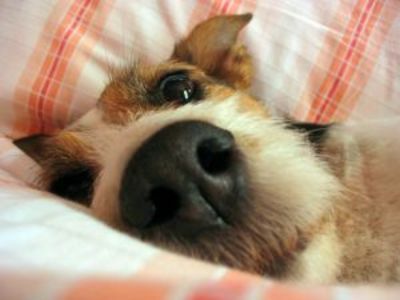 Your dog needs a place they can call their own in your home. A dog kennel/crate can also help a dog to feel safe, especially when you are gone. Refrain from using the dog kennel as a discipline retreat. You want them to look forward to and enjoy their own space. These are the basic dog supplies you need to purchase before you pick up your new pooch. Later on, you can spend hours finding fun toys, dog chews, and dog costumes for your new best canine friend.